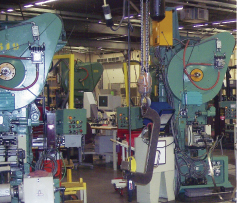 I recently read the excellent article you published on safe rigging practices (August 2010 MetalForming), and felt compelled to point out an unsafe condition in the photograph appearing on page 20. The hose from the clutch/brake valve is excessively long; from my experience, as the rotary union wears and develops more friction, it will want to spin with the rotation. This typically leads to air-hose kinks that will cut off the release of the air from the clutch/brake. When this happens, the machine will continue to run and possibly cause a catastrophic situation. I’ve seen this happen on several presses with older hoses and longer hose lengths. We therefore recommend keeping these hoses as short and as straight as possible.